Author Susan Scarff will join us to talk about her journey with dementia and the book she wrote "Dementia - The Journey Ahead." The second half of the show will feature Bob Demarco of The Alzheimer's Reading Room, one of the best resources available on demenita. What should a person do if their loved one has been diagnosed with dementia? Are their special needs when it comes to medicating a dementia patient? What should caregivers be aware of… What Tips do you have for caregivers in general? Bob started learning about Alzheimer's the hard way--by living Alzheimer's disease from the front row. 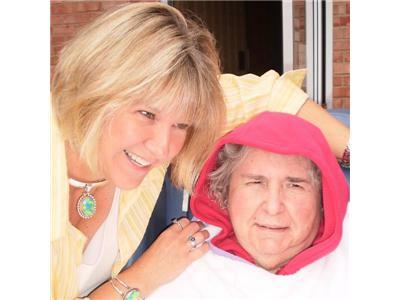 He took care of his mother Dotty from November 17, 2003 until she went to Heaven on May 25, 2012. Together Bob and Dotty learned that while Alzheimer's is always burdensome at the outset for both the patient and the caregiver it can become a journey fill with Joy.